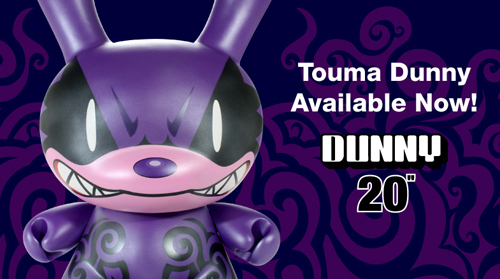 Artist Touma, the creator of the Knuckle Bear, has released this rare 20-inch Dunny. This Dunny has been confined to a 400 piece release. It features a crazy tribal pattern and a evil grin that will scary paint off your other Dunnies. With the price tag at $300 KidRobot.com still has a few left, but I wouldn’t be suprised to see these go very soon.